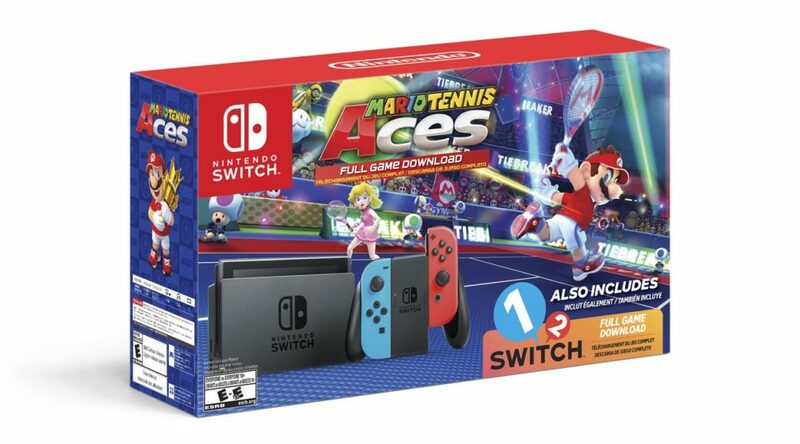 Nintendo of America has announced an exclusive Nintendo Switch Mario Tennis Aces bundle exclusive to Walmart in North America. The bundle, for USD359.99, comes with a Neon Nintendo Switch and full game downloads for Mario Tennis Aces and 1-2 Switch. This essentially means 1-2 Switch is free of charge. You’ll be able to purchase the bundle from September 5, 2018.